The Center for Hellenic Studies in Washington, DC offers the opportunity for five Harvard students to utilize the Center’s library collection for research in January. The CHS will provide housing in shared apartments on the CHS campus for one week, 24-hour access to the library, and lunch on weekdays. Additionally, the CHS will reimburse round trip transportation costs up to $500.00. Any student of Harvard University is eligible to apply. The CHS especially encourages applicants who are currently engaged in research that matches the strengths of the library collection and the mission of the CHS. A research proposal or abstract (250-500 words). The Center for Hellenic Studies Library collection focuses upon and supports research in all areas of ancient Hellenic civilization. The collection includes literature (archaic, classical, Hellenistic and early imperial), history, philosophy, religion, art, archaeology, architecture, epigraphy, papyrology, medicine, mathematics, science and numismatics. Collections in Latin Literature and Roman Studies are less complete, but very useful for comparative purposes and interdisciplinary projects. 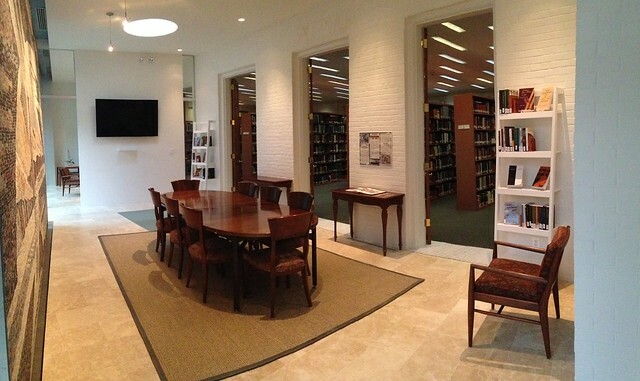 For more information about the Center for Hellenic Studies Library, see the webpage.